The overall goal may be to produce a more balanced form, to bring out the structure of the trunk and limbs, provide space for other trees, light for lower limbs or under-plantings, clearance around structures, walks, utilities, and roads, or to produce a desired look for a landscape including near and distant views. Pruning objectives may include: removing weak, dead, diseased, or cracked limbs, and thinning, reducing, or raising the crown. View pruning is focused on near and far views, often of the river or mountains in the Gorge. It might include thinning and “opening windows” in the crown to expose key landscape elements such as ridge lines, mountains, and water while retaining screening from unwanted views of buildings or power lines; conifers with dense pyramidal crowns can be “aged” by leaving limbs clumped along trunks between windows. The tree remains to frame the view, avoiding topping or removal; in contrast, relatively young and small trees can have the crowns reduced to maintain a particular height and width, which then will need additional pruning after several years. It is not standard industry practice to top trees for views; we do not top trees or typically cut limbs over 4- 6 in. diameter unless the choice is to lose the tree to bark beetles, maintain an already topped tree for safety, or remove storm breakage. BAC has saved large, specimen ponderosa pines and black walnuts with radical pruning (sometimes topping) combined with chemical treatment. Topping has multiple negative effects: sun scald on thin bark, overall tree stress due to loss of canopy (often accompanied by insect attack), poor aesthetics, poor attachment of the crown that regrows at the topping cut or cuts, heart rot decay, severe suckering in hardwoods, and development of heavy "L" limbs in conifers that can split and fail. Re-growing crowns can be trained with follow up pruning to improve structure and increase stability. 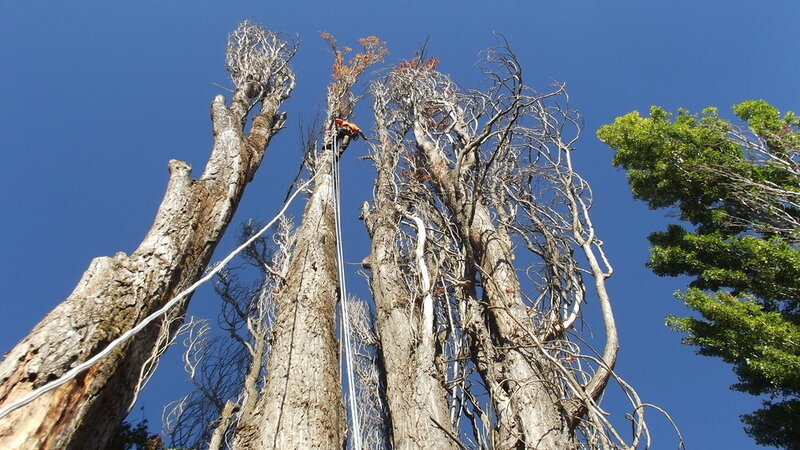 The overall goal is to increase the stability of large trunks and limbs by decreasing failure risk. Pruning objectives may include: removing large dead or dying limbs, decreasing end weight of large long limbs, and selecting limbs for retention for the long term that will be strong and well-spaced. Long limbs may have the end weight reduced by multiple small green cuts in order to reduce the force on the end of what are long lever arms; in this way, the risk of breakage in the wind or storm events is reduced and the taper of the limb is increased over time, increasing its ability to withstand stress. Pruning is often combined with support systems to make them more effective, and is often part of recommendations following risk assessment, in order to reduce the risk posed by large trees with defects such as weak forks and heart rot to high value targets nearby. Sometimes when a tree is dead, in poor condition, or simply the wrong tree for the space removal is the best option. Techniques necessary to maximize safety and minimize impacts to property are used. The proximity of high value targets, roads and power lines, landscaping, and the size and condition of the tree all factor into the work plan. All jobs require some processing for safe operations; this typically means we chip smaller materials and cut up wood as we go in order to work safely and efficiently and to leave a safe work site when the job is done. I encourage all clients to consider keeping trees, especially large healthy ones; even large old trees with significant defects can be retained with proper care. 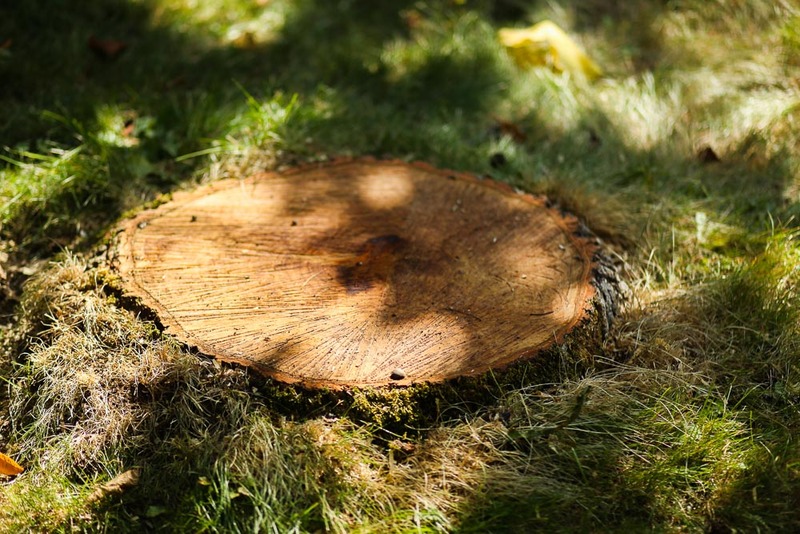 However, the choice to retain a tree or remove it is ultimately the client’s decision.